Clavia Nord Lead: worth every penny of its current £3-500 second hand asking price. Though you wouldn't have known it at the time, 1995 was essentially a turning point for synthesis. Despite the fact that the global airwaves were awash with grungy guitars and raspy-throated alt rockers, an electronic renaissance was bubbling up behind the scenes, heralding a new golden era for synthesis that - it could be argued - continues to this day. Mark Vail's excellent book, Vintage Synthesizers, had recently been published, tapping into the quiet dissatisfaction that many electronic musicians were feeling towards the static sample-playback synths of the early 90s. This, along with a nascent nostalgia for all things analogue (exemplified by E-mu's Vintage Keys module - ironically built upon their successful Proteus sample-playback technology) was finally sated by the nearly simultaneous releases of two new synthesisers: Doepfer's A-100 modular system, and Clavia's Nord Lead. The Nord Lead was something very new indeed. Festooned with pleasantly playable knobs and a pair of unique left-hand controllers, the rakish, asymmetrical synth looked like nothing else. Its eye-catching design was a resounding statement against the conventions of the day. Plenty of brightly coloured instruments have come and gone since, but it was the Nord Lead that started it all. And its looks were just the beginning. While the A-100 was a true analogue system, Clavia's synth was a fully digital recreation of a typical analogue synthesiser (with a signal path not terribly different from those found on, say, a Prophet-5 or a Jupiter-6). This was a new approach that Clavia had dubbed "virtual analog". Indeed, the Nord Lead was the very first instrument to carry that description, and its legacy can be found in each and every one of our plugin folders today. Technology and finery notwithstanding, the Nord's architecture seems unremarkable by today's standard. A pair of analogue-style oscillators - each with a handful of familiar waveforms - could be mixed and modulated against one another before being spat through a multimode resonant filter. A pair of ADSR envelope generators were supplied, along with an LFO. No effects were included on the original - that was seen as a hindrance by some, but for many, their absence only emphasised the classic analogue sound. Clavia had, wisely, carefully considered the Nord Lead's responsiveness, and the instrument was a joy to play. The odd-looking wooden pitch bender and slim pumice mod wheel weren't just easy on the eyes - they were also perfectly designed to feel 'right' under the player's hand. The knobs were small but firm, responding to and inviting real-time tweaking. The Nord Lead would be followed by four successors, not counting special editions and rack versions. It is, in fact, still available today, with a few additions to the signal path (those missing effects!). Mind you, many a soft synth can better an original Nord Lead in authenticity, but that doesn't mean the original isn't very much worth seeking out. A spot-on recreation of the Nord Lead's signal path with a few bells and whistles added, including stereo delay and gate effects. Intended to recreate the Nord Lead 2, Discovery can even import patches from the real thing. If you want more still, there's a Pro version with sample import, 'PADSynth' resynthesis and graphic envelopes. Clavia's own fully functional, native software demo version of their G2 modular does so much more than the Nord Lead, but it can call up a Nord Lead-alike configuration. Its only limitations are polyphony and an inability to process external sources. It's cross-platform, but you'll need a pre-Lion (ie, Rosetta-equipped) version of OS X to use it on Mac. A bona fide freeware classic, the developer makes no attempt to mask the inspiration for this lovely cross-platform synth. 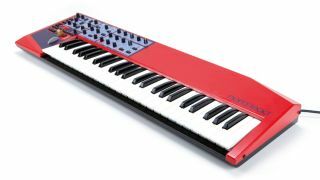 Again based specifically on the second generation of Nord Leads, this one also provides modern niceties like built-in tempo-synced delay and stereo chorus, and quadruples the original Nord's four-note polyphony.